Honestly, I just meant to scrape off a patch of this yucky blistering paint, sand it and slap on a bit of touch-up paint. How was I supposed to know the paint would scrape off in queen-size sheets? Well ok: this part of the house is about a hundred years old-yes perhaps I should have factored that into my timeline. This is a serious lesson in What NOT to start before your guests arrive. I haven’t been this ‘nesty’ since I was pregnant, but I am a little prone to using visitors as an excuse to jump-start the odd renovation. This time it was bugging me that I didn’t get the damp peeling paint fixed in the guest room so the minute my friends popped out for a quick road-trip, I found hunting for drop sheets. 'La-de-da; A woman's work is never done': flipping apricot pancakes between running to the shed to retrieve drop- sheets. I can’t honestly recommend making Apricot cinnamon jam and pancakes and renovating simultaneously. <Gaaah I only have one drop sheet left>. For starters, if you’re filling plaster holes you may find out the hard way, that cornice cement (THE absolute best thing for filling damp walls) looks remarkably like pancake batter. Pancake batter is runnier actually. ...turned into two walls looking like those of a rustic (read, falling down) Tuscan villa; I realised I was past the point of no return. With house guests returning in just twelve hours, I have bare odd coloured, damp walls surrounding their bed. In fact one of them is, inexplicably, green. ?? There ARE spatulas in this drawer, I know it. I’m poking a screw driver into what WAS a filled hole in the wall, now it’s oozing wet filler like puss from a giant pimple and like any pimple squeezed, it’s growing larger and angrier by the minute. So I call my big brother – an expert on painting and decorating and all things oozing and he gives me, in his soothing and chuckling manner, a shopping list for the hardware store. 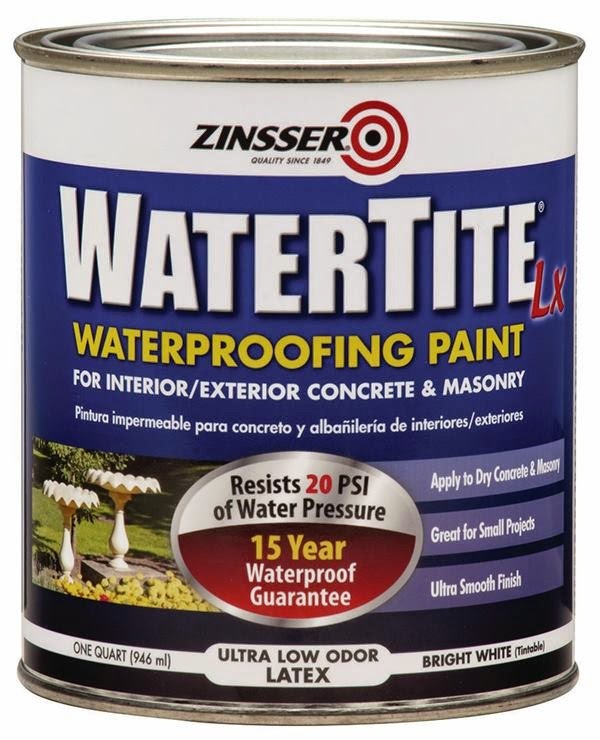 After filling scraping and sanding as if my life depended on it – not to mention hanging curtains on the line, I start painting on a product called Zinsser Watertight. I read product reviews on-line while I was waiting for the cornice adheasive to set in the holes; this product can be painted on wet basement brickwork and still stop the water coming through! Ok, so what’s a bit of rising damp and blistering paint to a product like that? Come back and ask me in a year. With the first coat of waterproofing paint on (I need two) apparently I can’t re-coat for another four hours - they’re arriving in about six hours. Even I'm not that crazy..
At least the room looks decent, sort of, but considering I need another coat of water proofer and then normal interior paint, this will be a work in progress for sure. I think I might try and finish it before someone else books the room.